YART Yamaha ran a masterful race and picked up the win at the 8 Hours of Slovakia Ring, ahead of GMT94 Yamaha and F.C.C. TSR Honda France, which however still leads the FIM EWC standings. A trio of teams is keeping the excitement high in the Superstock class. Junior Team Le Mans Sud Suzuki, Yamaha Viltaïs Experiences, and Atomic 68 are neck and neck. After a hotly fought start to the race, YART Yamaha appears to have taken control, ahead of GMT94 Yamaha and F.C.C. TSR Honda France. YART Yamaha was fastest on the track during the warm-up this morning at the 8 Hours of Slovakia Ring, ahead of BMW-mounted Mercury Racing and Team SRC Kawasaki. The 8 Hours of Slovakia Ring, the 3rd round of the 2017-2018 FIM EWC, is to be flagged off at 12.30pm CEST tomorrow (Saturday). Viewers worldwide will be able to watch the action live on TV. Japanese team F.C.C. TSR Honda France will start from pole tomorrow at the 8 Hours of Slovakia Ring, ahead of YART Yamaha and Suzuki Endurance Racing Team. 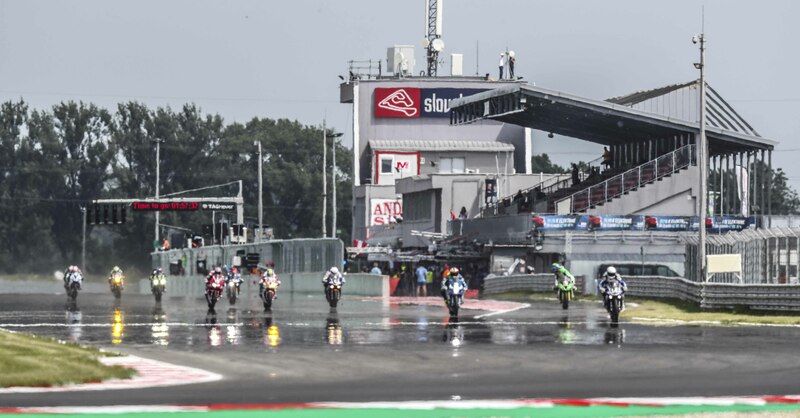 The Japanese team – winner of the 24 Heures Motos – took top spot on the 8 Hours of Slovakia Ring provisional grid, ahead of YART Yamaha and GMT94 Yamaha. YART Yamaha set the fastest lap during free practice on the Slovakia Ring, ahead of Team SRC Kawasaki and GMT94 Yamaha. Free practice, the first qualifying and a night test: the 34 teams entered for the 8 Hours of Slovakia have a busy schedule and plenty of work in store for them today (Thursday).